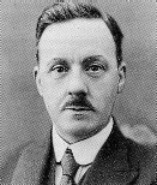 Producer, director, writer, inventor and perhaps the leading creative figure in the British silent cinema, Cecil Hepworth was the son of a noted magic lanternist and scientific lecturer T.C. Hepworth. He first enountered films when he saw Robert Paul's Kinetoscope exhibit at Earl's Court in 1895. His inventiveness and knowledge of photographic and lantern techniques led to a varied career in the early film industry. On 21 July 1896 he was assistant to Birt Acres when the latter gave a royal command performance at Marlborough House. While writing for Photographic News and other journals he operated as a travelling showman during 1897, also writing The A.B.C. of the Cinematograph, the first British book to be published on the new phenomenon. In 1898, with his cousin Monty Wicks, he joined Charles Urban at Maguire & Baucus in Warwick Court, a firm which shortly afterwards changed its name to the Warwick Trading Company. His first film for them was of that year's Oxford and Cambridge boat race, which he had developed at Alfred Wrench's shop at 50 Gray's Inn Road. Summarily sacked by Urban, Hepworth and Wicks set up their own eponymous film company Hepwix in 1899 at Walton-on-Thames, where they were soon joined by H.V. Lawley. Hepworth acted as director, writer, producer and occasional actor while gradually building up an impressive roster of popular stars that made the renamed Hepworth Manufacturing Company (using 'Hepwix' as its trademark) pre-eminent in the British film business before the First World War. Among the stars were Gladys Sylvani, Alma Taylor, Chrissie White and Henry Edwards, and his directors included Percy Stow and Lewin Fitzhamon, the latter of whom made the immensely popular Rescued by Rover (1905). Many of the most celebrated early titles produced by Cecil Hepworth were in fact not directed by him. In 1910 he experimented with synchronised sound with his own Vivaphone system. By 1915 the company had turned to feature film production, with Hepworth now regularly directing, but their fortunes fell with those of British films as a whole, and after a failed attempt to regain former glories with Comin' Thro' the Rye (1923) the company went bankrupt in 1924. Hepworth clung on to the fringes of the film industry, ending up directing trailers for National Screen Services. He lectured on film history, and became Chairman of the British Film Institute's History Committee, assisting in the research behind the first volume of Rachael Low's The History of the British Film. A major figure in the early years of British filmmaking and a source of inspiration and prestige for the industry at that time, he followed the typical pattern of an innovator unable to move with the times. His autobiography, Came the Dawn, though uncertain about the order of events for the early years, is a richly detailed and informative account of the period. remarkable man and his films. this is a truly increbile find!